A picture is worth a thousand words right? Some are masterpieces. Some leave you speechless. I discovered one I took today that left me looking for words. We had a snow day today and my usual parenting failure feelings crept in as I debated playing in the snow. I want to play in the snow. I want the kids to play in the snow. I was excited last night to watch the snow fall and thinking about going outside today to throw snowballs, make snow angels, and make snow cream. But the reality of children waking up early and trying to make sure all of them are bundled up enough to avoid frostbite, put my spirits to the test. The kids who are big enough to self-dress don’t appear to have the logic to follow through. Prima walked to the door ready to go outside and did not have anything on her feet. Anything. Coat, coveralls, hat, gloves, and bare feet. The tile floor near the door is cold and that cold on her feet triggered exactly zero thoughts. Jane gets fully dressed and is likely hyper-thermic waiting on everyone else to get ready. Don Threeto, of course, has to pee after putting her coat on. Then we get outside and I suddenly remember winters-gone-by. I realize that all of the kids are still young enough that they don’t hold memories as well as adults. Even the ones that have enjoyed snow before probably don’t remember it that well. They test it out to see if it is slippery. What does it taste like? Can you throw it at each other? I knew I had to take pictures and I tried to stage a few to compare to the past. There is one picture from our old house that I loved. Jane was a toddler and we had 13” of snow in one evening. 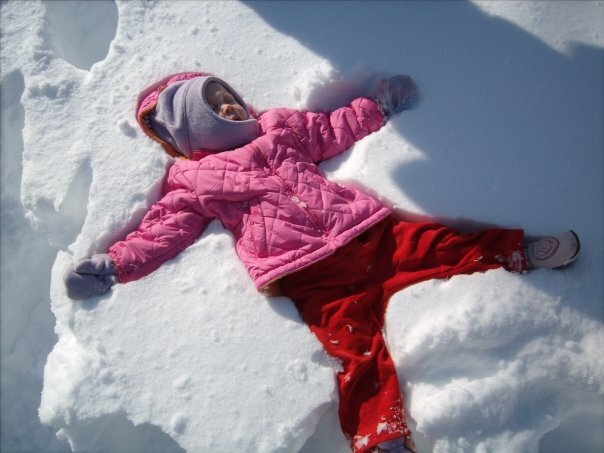 The next morning we played and I tried to lay her down and make a snow angel. She sunk into the snow almost completely disappearing. 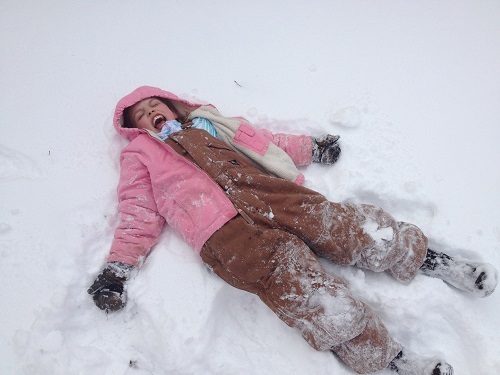 She cried and was all bundled up, stuck in the snow, and for a minute I found it funny and snapped a picture. Note the trendy pink jacket and ballet shoes. Then one today to compare. Still rocking a pink jacket but with more attention to appropriate footwear. But that isn’t the photo that got me. The one that got me is a rare case. Every now and again you can press a button and capture a moment, wrapped in a personality, and glowing with an emotion. I am always happy to capture it and somehow sad at the same time as if I am mourning an innocence that doesn’t even know it is doomed. A smile. A full face grin that says, “I am warm from my big coat. I am comfortable with my rosy cheeks. I feel safe because I close my eyes when I smile. I am happy because my whole face is smiling. I am smiling because you are here with me and I am here with you. Because mommy said to look at daddy…” That smile is for me. There is no yesterday or tomorrow only right now. In the photo, Lady Bug’s “right now” is in the snow with her family. I have this type of picture with all my children. My wife. My siblings. Family and friends and even a few strangers. I can’t imagine living in a time when cameras didn’t existing and the only similar option was getting sentimental about a painting. Maybe that is why the Mona Lisa is so famous, she is holding a wisp of a smile and Leonardo captured something rare. If you have photos that capture your heart, this post is for you. You’re welcome. Adorable photos. Keep taking pictures. Always take pictures. Make sure that you and your wife are in the pictures too. Someday, when you leave this earth (or are about to), your daughters and their families will go through each of those photos that you’ve taken with care and reverence. Those pictures will comfort them and those pictures will help them to remember. Sometimes, they will feel like they are one of the few lifelines to you. So, never stop taking pictures. 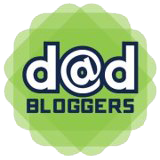 Very sweet post, Underdaddy. Thank you and that is a thought I will have to process. You are right though. I have always been a picture fan which drove my wife crazy when we were dating but we remember those things now. I will carry your cause. I will probably take them sledding today if I can talk myself into it. Please do! 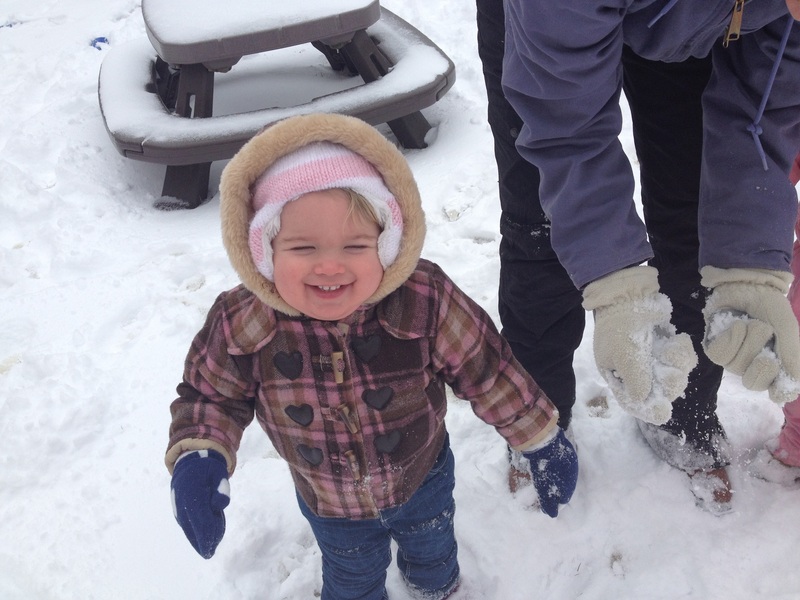 As far as my kids are concerned, snow is as soft and cushiony as marshmallows – completely inviting! My seven year old got to really enjoy her first “big” snow yesterday, the pictures I got were priceless. Up until an errant snowball hit her in the cheek, then it was time to go in and warm up. Haha I know what you mean, Lady Bug rubbed her face with a snow glove and it was an endless cycle of trying to get snow off her face and her rubbing more in. Love you and your girls. ekpreston is right, great photos but make sure you are in some, I have virtually none of me and the kids from the past as I take the photos and it would have been nice to show them in the future I was actually there. I will make Supermom document my existence. 🙂 What I really need to get better at is printing them out so I can fill more boxes in the attic. That may be all they inherit so I want to make it take a while to go through them. Your caught it! And recognized it! Loving kids and photography is a great combo! Great shot and a keeper for sure. Ha sounds like a sitcom, my two Lisa’s. He did and he made it into some good pictures! Loved this post, words and photos both!